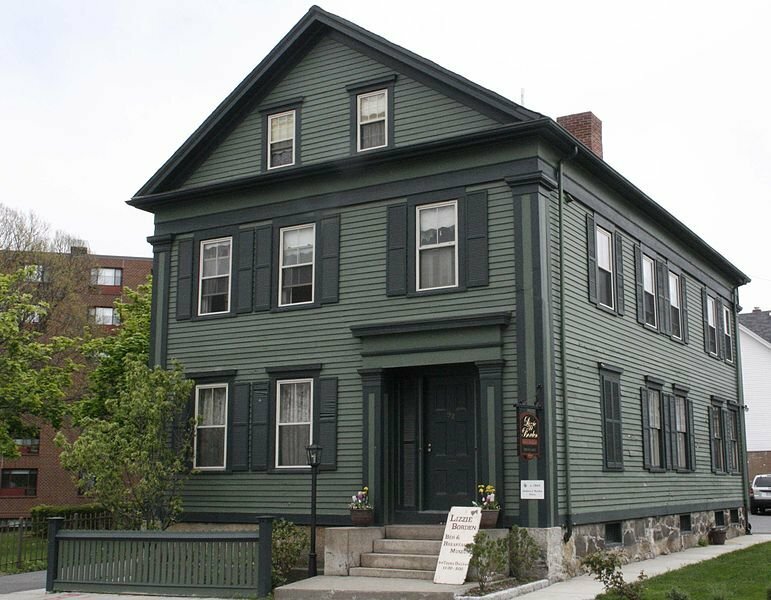 LIZZIE BORDEN TOOK AN AXE—OR DID SHE? ONE OF the most notorious crimes in American history has never been completely resolved. It has, however, given rise to a skipping-rope rhyme, a folk legend, a bevy of books, both non-fiction and otherwise, a ballet, an opera, a film, a heavy metal band, a TV movie—and a bed and breakfast in Fall River, Massachusetts. It also encouraged wife Dottie and me onto another collectible binge. 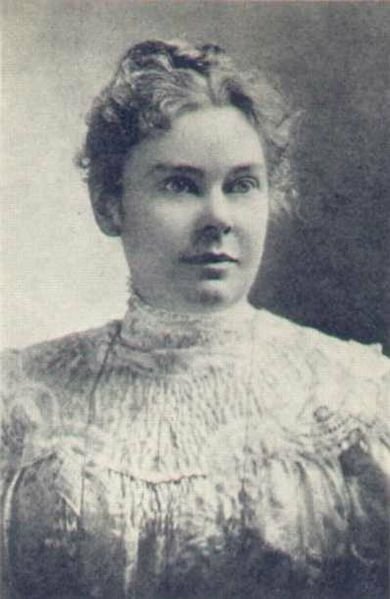 Lizzie Andrew Borden, 1860 – 1927. Lizzie Borden took an axe/And gave her mother forty whacks./When she saw what she had done,/She gave her father forty-one. 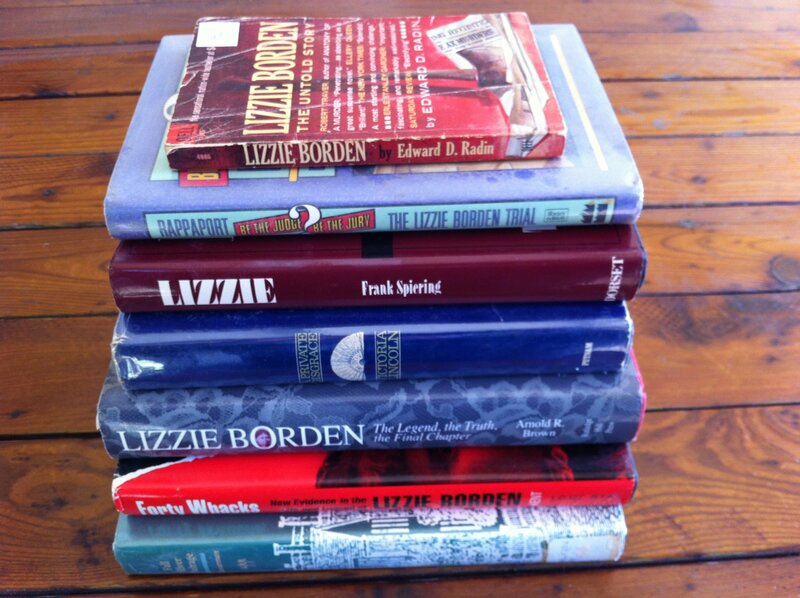 The Lizzie Borden Bed and Breakfast, http://lizzie-borden.com. On August 4, 1892, Andrew Jackson Borden and his wife Abby Durfee Gray Borden were found hacked to death by hatchet in their Fall River, Massachusetts, home. Andrew was napping on the sofa in the first floor sitting room. Abby had been doing housework in one of the upstairs bedrooms. Everyone in the family had been ill; a mutton stew, already several days old, had been left on the stove in a stiflingly hot house. The Borden Murders: An Annotated Bibliography, by Robert A. Flynn, King Philip Publishing, 1992; this book lists 107 pages of references. 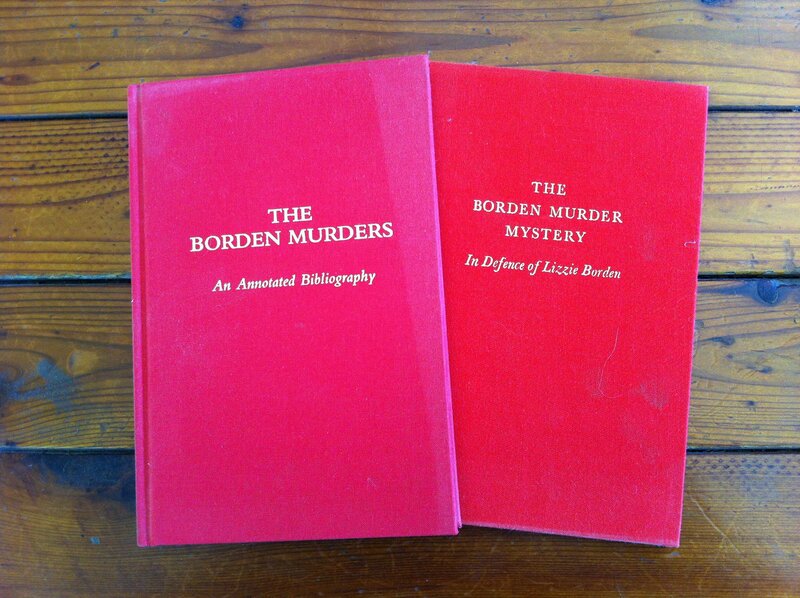 The Borden Murder Mystery: In Defense of Lizzie Borden, by Arthur A. Phillips, King Philip Publishing, 1986; the author, a member of Lizzie’s defense team, firmly believed in her innocence. According to the family maid, Lizzie discovered her father. “Maggie, come quick! Father’s dead. Someone came in and killed him.” Abby, Lizzie’s stepmother, was later discovered upstairs behind a bed. A hatchet head with broken handle was found in the basement. 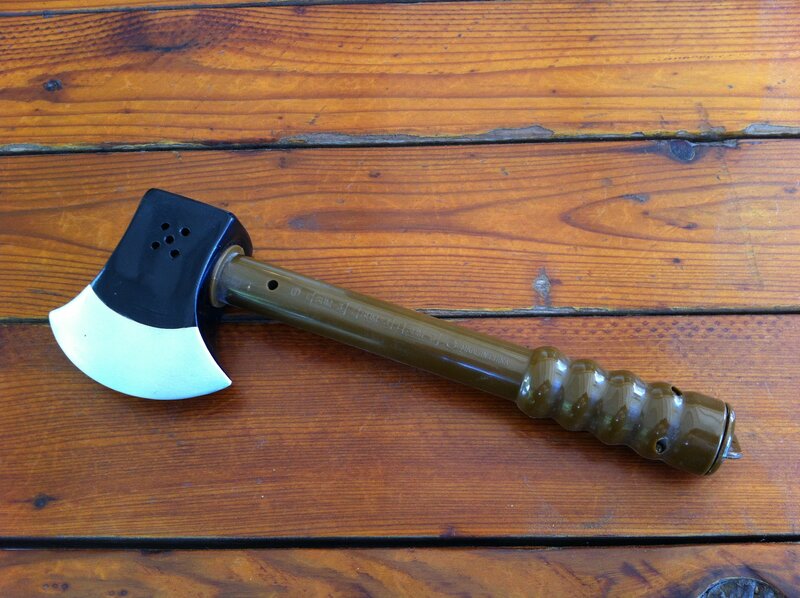 Our collection’s whack-actuated screaming hatchet comes from a Tokyo Halloween sale. Police thought Lizzie’s reactions were strange and contradictory. At the inquest four days later, she continued to act erratically, possibly traceable to morphine prescribed to calm her nerves. Had Lizzie helped her father into his slippers for his nap? Andrew Borden, post nap, left. Abby Borden, post housework, right. Note Andrew’s boots in the murder photo. Had Lizzie been eating pears in the barn loft? In that stifling heat? 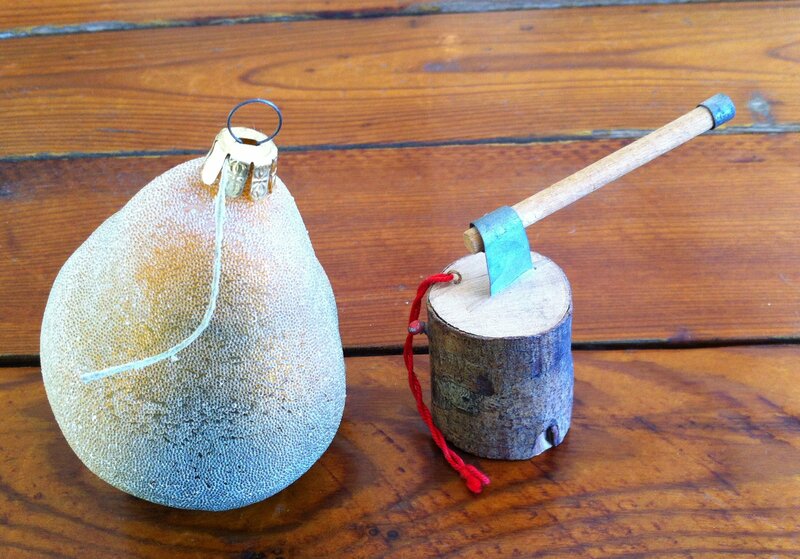 Our Christmas ornaments include a pear and a hatchet. The trial, which took place the following June, 1893, raised other questions. A few days after the murders, Lizzie burned a dress in the stove. Why? Do you suppose she finally tossed out that mutton? 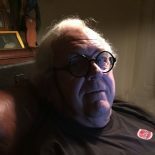 Was the broken hatchet really the murder weapon? After deliberating an hour and a half, the jury acquitted Lizzie. The collection’s non-fiction includes Fall River Outrage: Life, Murder, and Justice in Early Industrial New England, by David Richard Kasserman, University of Pennsylvania Press, 1986. After the acquittal, Lizzie started calling herself Lizbeth. She and her sister Emma established new digs, Maplecroft, in a posh part of town. There, they hired live-in maids, a housekeeper and a coachman. It had been ruled that Abby died first, thus passing her considerable estate momentarily to Andrew and hence to his children. A subsequent court ruling settled claims of Abby’s kin. 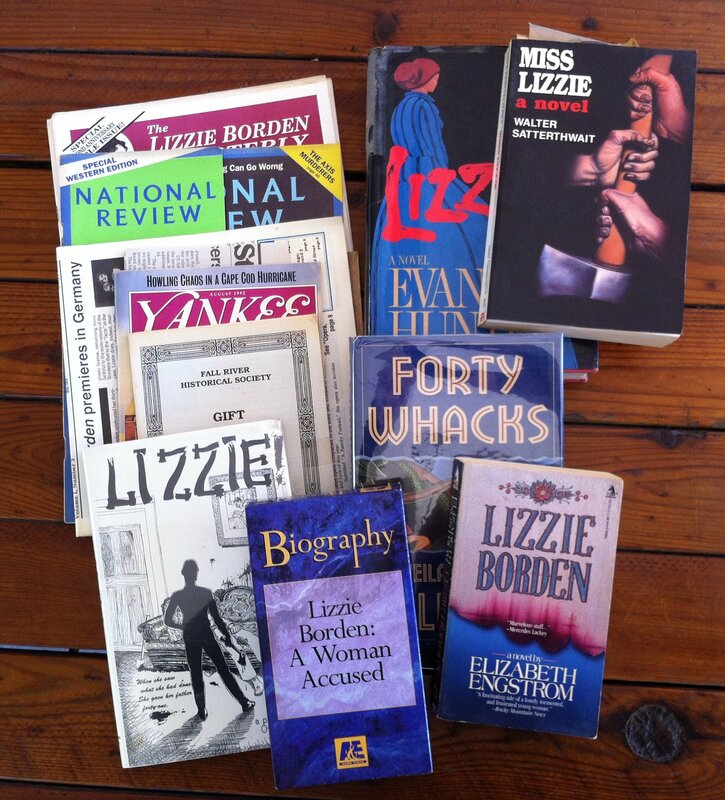 The collection includes novels, plays, Lizzie Borden: A Woman Accused, an A&E Home Video, and Borden ephemera. Fall River society didn’t think much of the acquittal and ostracized Lizbeth. Emma and she had a falling out about her relationship with actress (and real dish) Nance O’Neil. Lizbeth A. Borden died of pneumonia, age 66, in 1927. Emma died nine days later. With distribution of the estate in 1933, the Fall River Animal Rescue League received $30,000, a sizable sum now and particularly so during the Great Depression. So, in that sense, the story ends happy. Fall River Legend, by Morton Gould, Milton Rosenstock, conductor, The National Philharmonic, Albany Records, 1983. 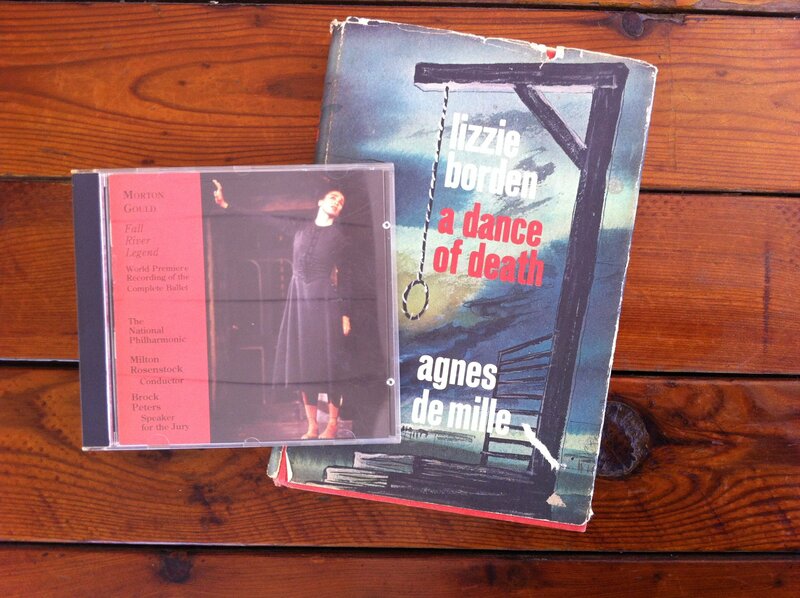 Lizzie Borden: A Dance of Death, by Agnes de Mille, Little, Brown and Company, 1968. Bennett Cerf wrote up (I think it was in “Try and Stop Me”) a tale of a young girl (later to become famous, but I forget who she was) whose mother was unsure how to tell the kid why she should not play with that nice old Borden woman next door. Don’t know if that’s in your bibliography! Neither Flynn’s bibliography nor our collection has any Cerf. This entry was posted on March 3, 2014 by simanaitissays in And Furthermore... and tagged Agnes de Mille, Fall River Legend, Fall River Massachusetts, Lizzie Borden, Morton Gould.